Crafted Co-Packing proudly represents The Stephano Group in the US Territories. From the first conversation, we work hand-in-hand with companies to develop the perfect product for their project. Our test kitchen is ideal for our in-house Product Development Program and recipe testing. Once the product is proven, we coordinate full scale runs with our partner facility, The Stephano Group. 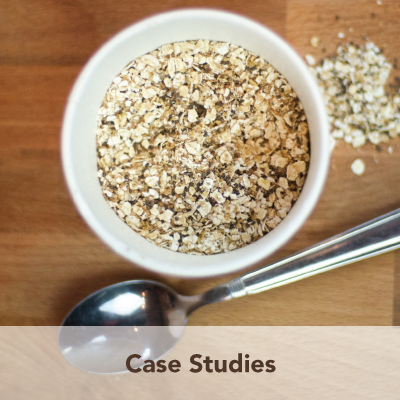 Founded by Annette Blaeske and Steven Frank, Stephano Group Ltd. began as a boutique granola producer in the early 1980s. In the years before the category became ubiquitous, Stephano’s was making legendary granolas using only top quality ingredients and craftsmanship. The company has grown considerably since then, but their roots remain strong; value, ethics and pride in every batch of product they produce. The company is still owned and operated by the Frank family. Now located in Toronto, Canada, Stephano Group Ltd. provides packaged cereal and snack item production services to customers in retail, food service and QSR. They currently ship over 100 unique product lines to areas across Canada, US and Europe. Granola | Stephano Granolas and Cereals are made from scratch, combining a handpicked selection of the world’s best ingredients along with exquisite natural grains from the heartland. Combined, we bring more than 30 years of expertise to the table and together we will create an unforgettable product for your brand. Oatmeal | Stephano Group Ltd. has designed oatmeal singles for a collection of North America’s premier food companies. 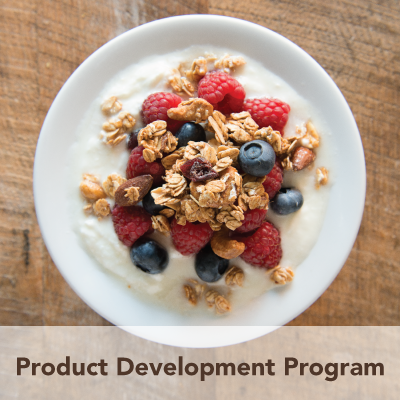 From formulation research to packaging supply management to processing and finally logistics, we can handle any level of project providing a seamless start to finish experience for your private label oatmeal program. Snacks | Stephano’s dedication to product quality extends to their carefully crafted snacking options. Using their specialty processes, they can combine the finest ingredients with natural coatings such as raw honey and Canadian Maple syrup to create unforgettable snack combinations. Choose from their extensive list of ingredients to create your own unique recipes. Quality is a core value at Stephano Group Ltd. As a GFSI certified production facility, they maintain the highest standards of food quality control and food safety. You can put your trust in us to deliver a safe and quality product deserving of your company’s brand. To learn more about our capabilities, please CONTACT US or call 717-814-9648.